The newest album for Eminem entitled Shady XV. Its not an Eminem album per say. It was more like a compilation of various artist, some old song also included inside the album. It is more like the previous Re-Up album by Shady Records. So after breaking the world record for the fastest selling album of all time for Eminem Marshall Mathers LP, multiple grammy awards, even an Academy Awards, how did Eminem keep up with this world wear music now are dominated by Korean Pop Music culture. People are forgetting Rap and hip hop music. Thanks to the new hip hop artist / rappers, now nobody know what is rap anymore. What people know about hip hop is bling bling, big booty, whore, alcohol, sport car and club. Not a bit of real hip hop where the rappers were talking about how they keep up and struggle in their life to get what they have nowadays and telling a story so that people can learn on what mistakes they have done. Whatever you are doing, Hip Hop nowadays are getting sicker, so that when Eminem produced another album Shady XV, what came to my mind is, can he or they do it? Would they resorted into / become like any other rap artist talking about sport car, and big booty whore in that club? I guess no. This album still provide us the creme de la creme of real rap lyrics. Honest, bold, explicit of course. It give us the memory of what hip hop used to be some years ago. In term of lyrics, I guess Eminem still at it, and slaughterhouse still have that umph on their lyrics keeping up with the Rap God. All other artist in this album are not disappointing. This can be proved by listening to the track "Detroit vs Everybody". However, this is not the best rap album out there. In term of beat and music, it does not keep up on par with any other rap music today. Sometimes, i feel confused about the music notes they use or how the timing of the beat which sound a bit off. If you are looking for a good beat music of rap, this is certainly not the album you want to hear. All the 12 tracks gave a bit of pain in your ear. A few song turn out to be a pain in ear but blended well to become nice to hear. 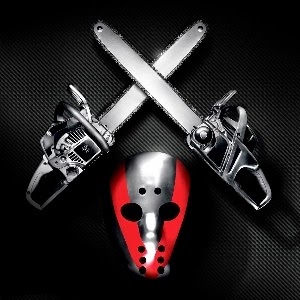 Song such as Guts Over Fear featuring Sia, First Line by Eminem, and Till Its Gone by Yellawolf. The next CD of the album only provide the old music so there were great. I do not know why there is a song by Skylar Grey inside this album. It sound experimental, ok, not bad, but it does not seem to belong in this album. The rap verse in that track is one of the best rap verse in the entire album. Overall, I would give 2.5 star out of 5 for this album. I would give the same star rating to Eminem present The Re-Up album . I expect Shady would bring better album this time but no, they does not. As for now, i still think the last and good Eminem album released is The Marshall Mathers LP 2. I certainly miss that period when Eminem manage to explode with Marshall Mathers LP. The time may not come again.